Hello Sweetpeas, how have you all been? Hope you had a fabulous Easter weekend? really enjoyed mine, it involved Easter Egg hunting with the kids, a huge fry up (pre diet which started today) and a glass of Prosecco, couldn't have got any better than that. So, I have been pretty busy this week so this is my first post since Wednesday. I asked for requests yesterday and a few of you asked about my cleansing routine - I don't like to disappoint so here it is, hope you enjoy reading about it. To begin cleansing I would select either Mario Badescu Glycolic Foaming Cleanser or Superdrug's Naturally Radiant Brightening Hot Cloth Cleanser. This is a herbal based exfoliating cleanser which helps to clear an oily buildup and removes dead skin cells from the skin. It contains healing properties from all the herbal extracts which are infused within. Because I have quite oily problematic skin it recommends I use this 2-3 times weekly (for normal skin 1-2 times) It has a little nozzle at the top which helps you control how much product you use at a time, no more than a 50p piece is required. I was actually sent this from Natasha at Bellezakisses back in September and it has lasted me so long. I have not seen this in any of the shops here so not sure what I am going to do when it finally runs out. 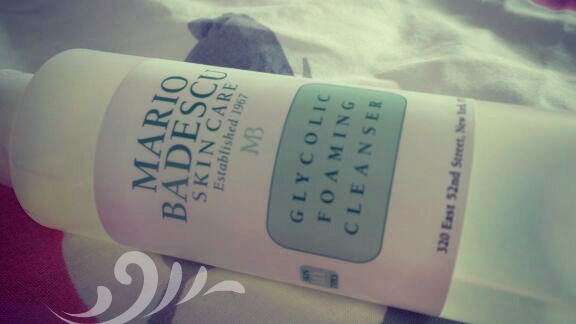 On the days I am not using the Glycolic Foaming Cleanser, I am using this little beauty. I received this as part of my secret santa from Georgina over at Make-up Pixi3, and I was completely unaware that it existed. Well I am absolutely hooked - it smells like Christmas in a bottle. 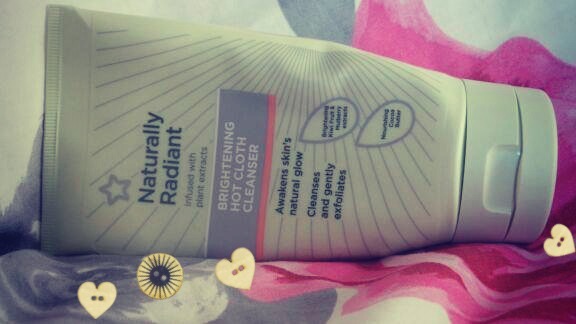 With Kiwi and Mulberry extracts and nourishing cocoa butter my skin has never been so well treated. The Kiwi and Mulberry extracts are meant to 'revive skin's radiance and even out skin tone' . It removes your make up easily and gently exfoliates at the same time. After cleansing I use Bio Derma Sensibo H20 to gently remove any left over makeup and cleanser that may still be on my face. I am so glad that this product is now available to buy in the UK as I received this from my sister when she came home at Christmas from Italy and it is half finished already. 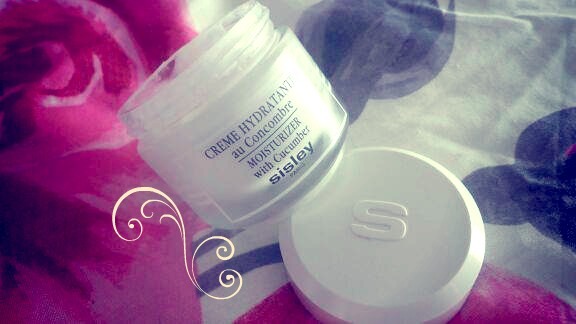 To moisturise I use Sisley Paris Creme Hydrante au Concombre (translated as moisturiser with cucumber), this has been part of my daily routine since December and I adore it. I reviewed this product fully which you can read here if you are interested. But basically this moisturiser contains cucumber which is rich in amino acids which help to revive your skin, leaving it feeling soft and truly nourished. 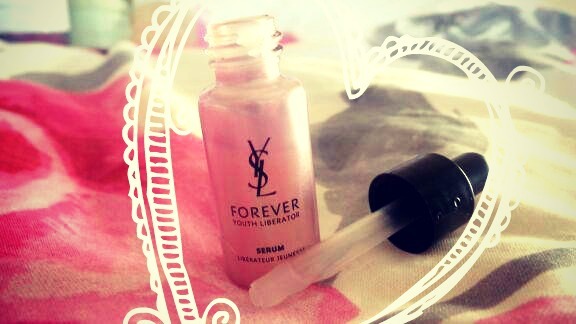 The final step before make up priming, I tend to use YSL Forever Youth Liberator Serum. I don't use this religiously however once or twice a week I sometimes feel I need an added boost of moisture, especially if it is 'that time of the month' and my skin isn't at it's most radiant. Injecting a little vavavoom to make your skin feel loved. My night time regime does differ slightly for this so if you want to read about that then please let me know, i'm available to chat to on twitter @laurziecooper anytime so please drop me a line. I love bioderma! really removes all traces of grime and makeup! 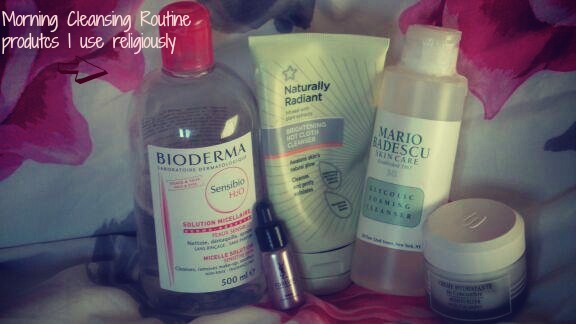 I love the Bioderma cleanser I did a review on this the other day if fancy a read:). 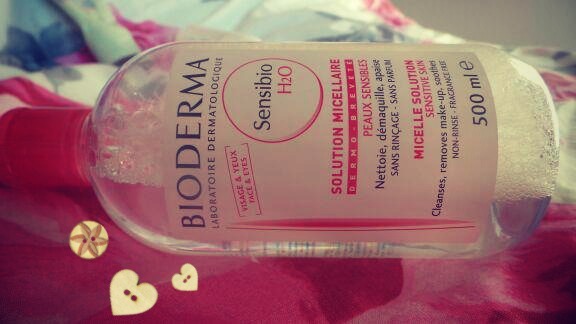 I loveee using the Bioderma cleanser. If you have oily skin I think the Crealine one is better suited but I've never tried the Sensibio version though. Where can you buy the Bioderma from in the UK, I've been wanting to try it for the longest time!!! Hey hun!!!! When you get close to running out let me know, I would be more than happy to send you up some more! I"m so glad that you like it! !